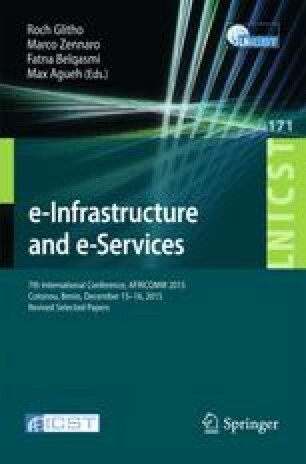 This paper investigates the design of a wireless sensor network that employs visible light communication technology to ensure an indoor public safety application intended for toxic gas detection within critical locations such as airports. To this end, a specific architecture for the VLC-based WSN was proposed which supports mobility of sensors inside the building. Moreover, an optical encoding scheme that can provide multiple access and quality of service differentiation was developed by combining both OCDMA and WDM techniques to reduce intra and inter cell interference. The quality of service provision is based on a dynamic allocation of optical code-words with variable lengths that depend on the transmission rate requirements of different classes of sensors. To reduce interferences the allocated code-words must be orthogonal. To this end, an appropriate orthogonal code-words generation approach was presented. Finally, a simulation work was conducted to evaluate the proposed network architecture.